As we close out another year in the Squire’s Program at CC, a few events, issues, and notes to end our year on. #1 – Thanks to all the Squires who participated in the Investiture Service in December – it was the 1st Investiture of Squires on American soil in the history of the Order of St. Lazarus. I really must stress how historically significant this event was. #2 – We doubled in size thanks to our newest chapter of Squires in Chapman University – again, I cannot stress how historically significant this is! #3 – We conducted a successful Item Drive for our troops – the items will be packed up and shipped out over the weekend, along with a $100 check from a CC alumni/veteran. #4 – Some things in the 2nd semester fell through and as the Master of Squires I would like to apologize for letting some things fall through the cracks; however, next year we are truly and strictly going to follow the constitution and insist on more student leadership. #5 – Heading into summer vacation if there is any service that you do in the name of the Squires, please do let me know so that you can be properly recognized. #6 – Thank you to those who faithfully attend all/most meeting and Squire’s events! #7 – Next week Wednesday will be our last meeting of the school year, we will discuss possible summer events and events for next year. We will also have a brief 10 min. ceremony for the distribution of correct medals – please make plans to attend! Thanks for a great year Squires! St. Lazarus, pray for us! A new branch of the Squires is slated to open at Chapman University under the direction of Prof. Andrea Molle. We welcome our new brothers and sisters in the Squires program and we hope for continued growth and success! Squires, sorry I did not get in an announcement today but Drive makes everything crazy. Let’s tentatively schedule a meeting for Thursday at 7:20am in Rm. 213. Not sure what the schedule will be this week with the snow on Wed. and a wrestling state championship day to be announced. We’ll do our best despite the schedule! The main goal for Thur.’s meeting is to plan the item drive and to recruit/invite new members. Gentlemen, the distribution of medals scheduled for Friday has been postponed due to Drive. I think it would be better if we waited for the second semester investiture of Squires which will occur when we have enough recruits … so get out there and recruit, recruit, recruit! The Captain is the student leader who is responsible for setting a good example for the other members and by extension, the school. He is responsible for helping to set meeting agenda, leading group meetings according to Parliamentary procedure, calling for helping to set meeting agendas, calling for and confirming votes, exploring service opportunities to bring to the group’s attention and being the representative for the group to the administration. He is the first in rank among the group members and is second only to the Commander. The Co-Captain is a student leader who is to act as the substitute for the captain if he cannot fulfill his duties or is absent. The secretary is responsible for keeping the schedule of votes, topics and attendance. He is also to provide a copy of his notes to the Commander for publication. He will also tally and keeps a record of the votes. The Treasurer is responsible for keeping the financial records of the group and also initiating fund-raising campaigns. The Sergeant at Arms is responsible for keeping order at all meetings and at all public functions of the Order of Saint Lazarus Squires. He is to ensure that meetings are conducted according to the proper Parliamentary procedure and is to call to order those members who are out of line. * Congratulations to all newly elected officers! Officers will recite a “promise of fidelity” to the Order, the Squires, and their office at the distribution of insignia next Friday. 1. To all Squires – please keep the trip to Valencia, Spain in mind! It would be a tremendous achievement for us to attend the international meeting in Sept. 2013. 2. A brief distribution and blessing of insignia (about 5-10 min.) will take place next Fri. (2/22) after the assembly in the chapel. Please wear a Squire’s polo shirt, blazer (if possible) and the Order of Merit (if you have been awarded it). 3. We need to think about recruitment to the Order and the Squires. An informational night for parents/interested parties would be helpful. Captain- Dan Ryan, Ryan Shaw, Dougan D.
Next Meeting- Feb 7th Next meeting will be Feb. 14, with elections and Mr. Klesko’s report from the national investiture. Gentlemen, we will be meeting tomorrow at 7:20am in Rm. 213. We will be discussing the many scheduling issues we discussed at the last meeting. We will also be discussing nominations for officers. Please make plans to attend. 1. The new medals are in for Professed Squires and Squires, we need to plan a brief blessing and distribution of insignia. This brief service should only take 10-15 min..
*Medals distributed at Dec. investiture will now be considered “The Order of Merit”. 2. We need to plan the “Item Drive for our Troops” Consider dates after Feb., maybe the beginning of March. 4. We discussed the possibility of an assembly celebration of our CC alumni veterans. I will pursue this to correspond with the end of our item drive. 5. We need to schedule our self-defense course with Mr. Leonard and we need a solid commitment to attend from members. Therefore there will be a $5 fee charged for the class. Action Item – dates and times to schedule the class. 6. 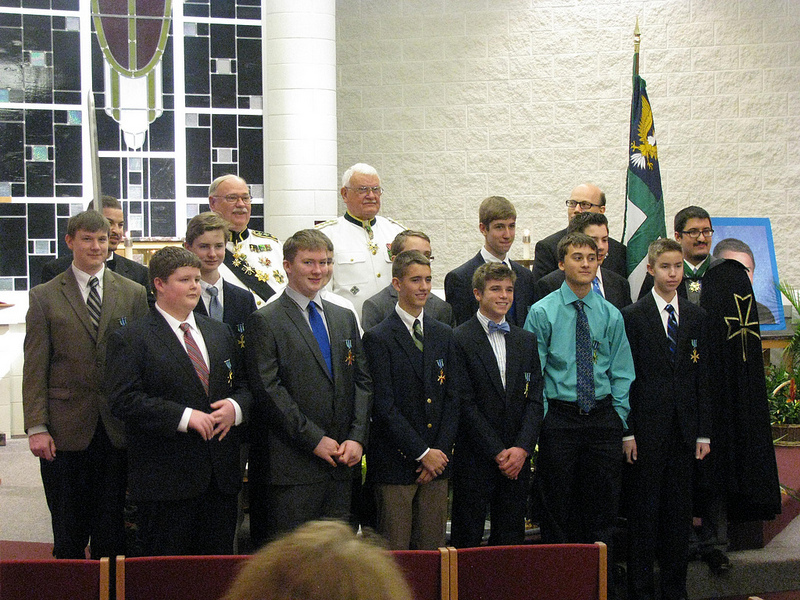 Many Squires who attended the Investiture in December still owe Mr. Klesko their dues. Please get your dues in ASAP. 7. Squires need to do their part to recruit for the Squire’s Program and please encourage your parents, aunts, uncles, cousins, grandparents (etc.) who may be interested in joining the Order of St. Lazarus as a regular member. Action Item – we need to plan an informational meeting after-school for adults interested in joining the Order of St. Lazarus. Dates and times to be proposed at the Jan. 31st meeting. 8. The International Chapter of the Order of St. Lazarus will be held in Valencia, Spain – we discussed the possibility of planning a trip with the Spanish Dept. Action Item – Squires who are in Spanish classes, please take the lead if you want this trip to happen. 9. In the future for national investitures, the goal should be to send 3-5 Squires. 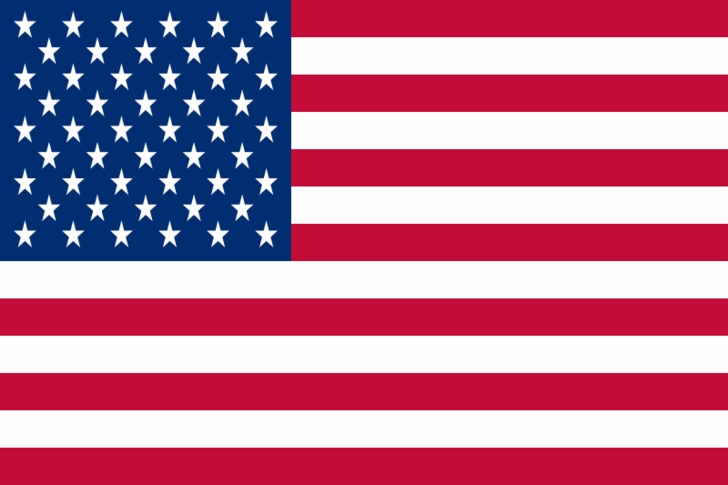 Order of St. Lazarus Grand Bailiwick of the U.S.A.